An introduction to the science and history of the falling sky that challenges the orthodox view that meteorite strikes are always bad news for life on Earth. Astonishing new research suggests that 470 million years ago, a stupendous collision in the Asteroid Belt (whose debris is still falling today) bombarded the Earth with meteorites of all sizes. A revolutionary idea is emerging that the resulting ecological disturbance may have been responsible for the single greatest increase in biological diversity since the origin of complex life – the previously unexplained Great Ordovician Biodiversity Event. 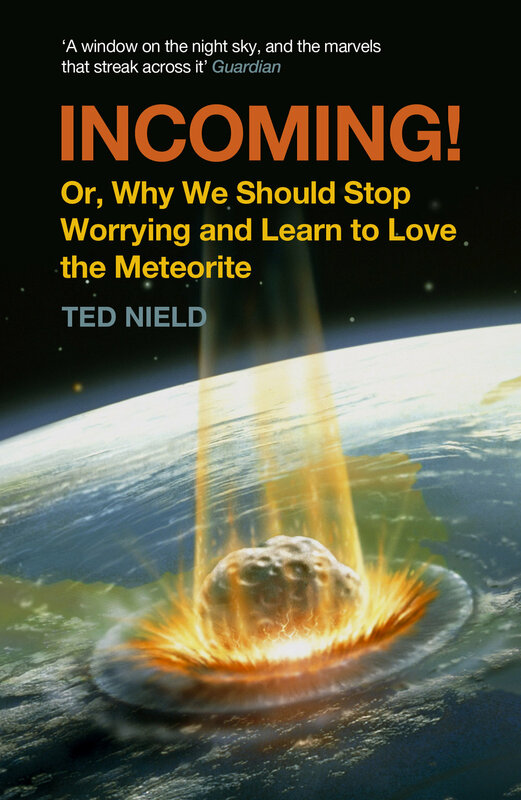 Introducing a wealth of extraordinary new research and the fascinating characters behind it, Ted Nield challenges the orthodox view that meteorite strikes are always bad news for life on Earth. He argues that one of the most widely known scientific theories – that dinosaurs were wiped out by a strike 65 million years ago – isn’t the whole picture, and that the causes of the end-Cretaceous mass extinction (of which the dinosaurs’ demise was a part) were much more varied and complex. Meteorites have been the stuff of legend throughout human history, interpreted as omens of doom or objects of power. But only in the eighteenth century, when the study of falling space debris became a science, were meteorites used to unlock the mysteries of our universe. Incoming! traces the history of meteorites from the first recorded strike to the video recordings made routinely today, showing how our interpretations have varied according to the age in which the meteorites fell, and how meteorite impacts were given fresh urgency with the advent of the atom bomb.